TTT is back! Check in every Tuesday for a test of your Memphis Tiger wisdom. From the merely memorable to the unforgettable, Tiger history will unfold one simple question at a time (with answers posted on Thursdays). 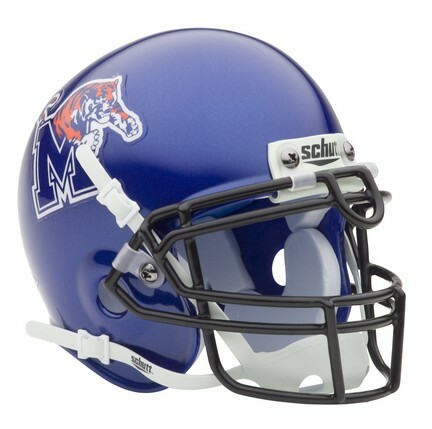 The 2012 Tiger football team finished its season with three straight wins. It was only the third such finish for the U of M since 1976. What were the other two seasons during this stretch in which Memphis won (at least) its final three games? And how did the Tigers do the following year? In some respects, Tarik Black’s three years at the University of Memphis unfolded as an inversion of your typical college life. Arriving in 2010 as a top-50 recruit and hometown favorite from Ridgeway High School, Black was supposed to fill a two-year void at the center position, one created with the departure of Joey Dorsey after the 2007-08 Final Four run. When he announced today that he would transfer (and pursue a master’s degree elsewhere), Black essentially left that same void he found three seasons ago, one he and freshman Shaq Goodwin were unable to fill, especially with the likes of Michigan State on the same court. Black had better hands offensively than Dorsey the first night he took the court for the Tigers. And his presence in the locker room was that of a veteran leader: a quick smile, eye contact with media types, a willingness to acknowledge shortcomings as well as strengths. Black would be named captain of his team as a sophomore. Players two years his senior would follow Black’s lead. But then his junior season arrived. Black was the only Tiger named to Conference USA’s preseason all-league team, and that would be, all things considered, the highlight of his 2012-13 campaign. After starting the Tigers’ first five games (including the 1-2 trip to the Bahamas over Thanksgiving weekend), Black’s downward spiral began with his storming out of a late-November practice, the frustration of his team’s disappointing start fracturing what seemed to be the strongest pillar of leadership on coach Josh Pastner’s squad. The preseason All-CUSA center was suspended for the Tigers’ next game (a win over UT-Martin) and would not start another game for Memphis. Black’s last hurrah, ironically, came against the team that would win the national championship. He had 21 points in 22 minutes off the bench against Louisville — minus Gorgui Dieng — on December 15th. Fittingly, Memphis lost the game. Black’s numbers weren’t horrible last season (8.1 points and 4.8 rebounds in 20.8 minutes per game). They just weren’t the kind of numbers that would make local fans forget Lorenzen Wright. Or Chris Massie, for that matter. Even with added weight, the 6-9, 260-pound Black played smaller than he was. Over a six-game stretch in February, Black grabbed no more than three rebounds. He blocked 20 shots in 32 games (after rejecting 56 in 35 games as a freshman). 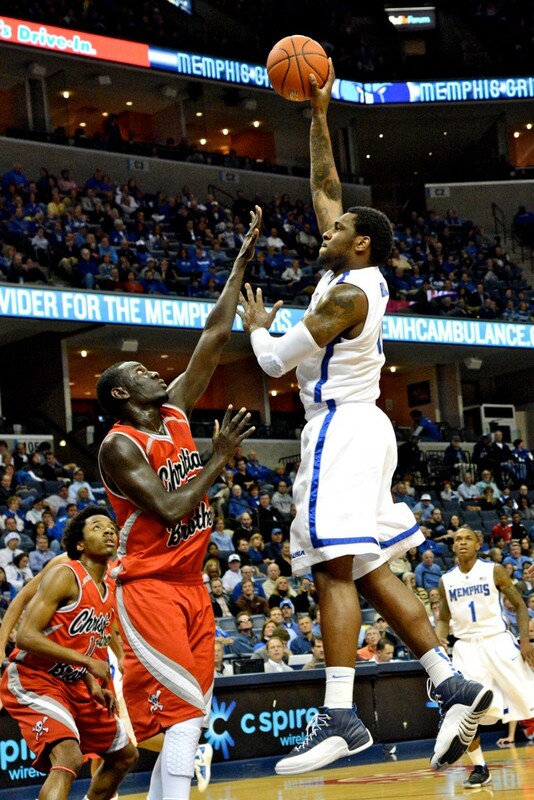 Four Tigers made at least third-team All-CUSA, and none of them were named Tarik Black. As for that void in the pivot, Goodwin replaced Black in the starting lineup and averaged 7.4 points and 4.4 rebounds, numbers that won’t make local fans forget . . . well, Tarik Black. Black leaves the Tiger program just 51 points shy of the 1,000-point club. Having graduated in three years (with a degree in organizational leadership), Black deserved a Senior Day at FedExForum, one he’ll now have to process through imagination, just like an NCAA tournament game in late March (or April). Perhaps he’ll enjoy a Senior Day at his next destination. (Degree in hand, he can play immediately.) Maybe he’ll find a team where he can blend as a role player and contribute to some postseason success. Tarik Black’s a good man. And I’m convinced he’ll lead other men someday. There are life stages, alas, when familiarity — of setting, of faces — stunts growth. A new challenge should fuel growth for Black, and basketball may prove to be merely incidental. I, for one, wish him success. Meanwhile, Josh Pastner turns back to that void at center, a new season seven months away.